Draken aircraft are used in various types of military training objectives around the globe to include support for the U.S Air Force, U.S Navy, U.S Marine Corps and other International partners. 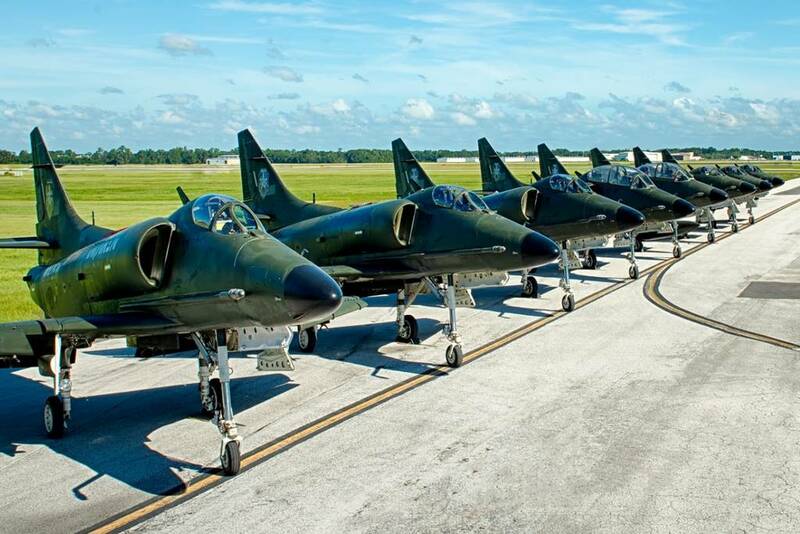 Draken expands tactical air services to Luke and Hill Air Force Bases. March 27, 2018 - Draken International, the largest commercial provider of tactical aircraft services, has expanded its already extensive operations in support of the United States Air Force. Draken maintains a sizeable presence at Nellis Air Force Base in Nevada, executing daily flight schedules of 18-24 commercial Adversary Air (ADAIR) missions in support of training requirements for the USAF Weapons School, Operational Test missions, as well as Red Flag exercises. 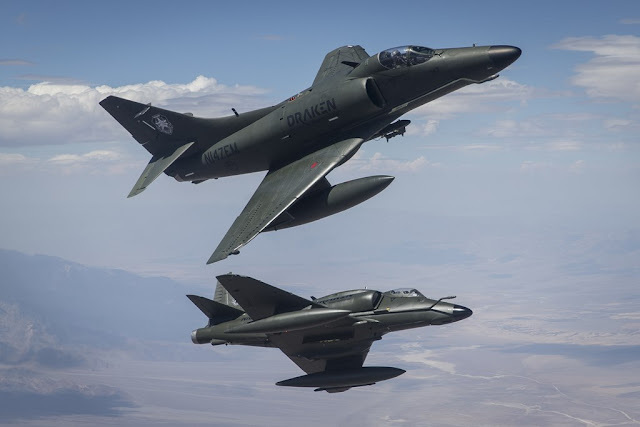 Under the authority of the 57th Adversary Tactics Group, Draken now offers additional adversary sorties to Luke AFB assets when Weapons School requirements permit, without having to deploy additional aircraft and personnel. Draken has also expanded its area of responsibility to the Utah Test and Training Range (UTTR), providing direct support mission to the operational F-35As out the 388th Fighter Wing, Hill AFB, Utah. Over the past several months, Draken has flown 300+ sorties dedicated to contesting America’s 5th Generation fleet of warfighters from Luke and Hill. In addition to Luke, Hill and Nellis, Draken has also completed numerous successful deployments to Holloman AFB, Edwards AFB, MCAS Yuma, MCAS Cherry Point, MCAS Miramar, and NAS Patuxent River. The demand for Draken’s radar-equipped fighters continues to increase, triggering a surge of requests from AETC, USAFE, and ACC combat units alike. With modernized Cheetah and F-1Ms in the process of being delivered, Draken’s capacity will continue to grow, providing a direct influence over combat readiness training, which ultimately saves taxpayer money and mitigates the impact caused by the pilot shortage.